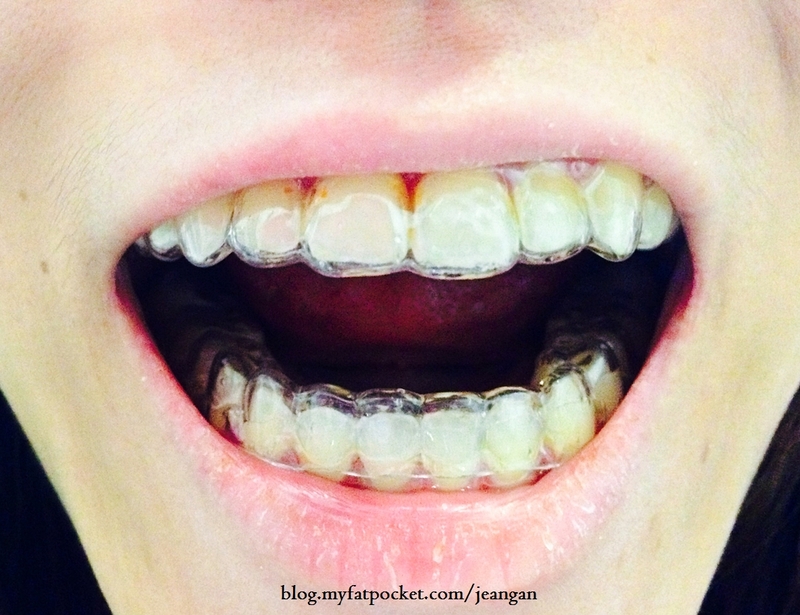 Goodbye Braces – Underbite problem solved! I AM UGLY BETTY, NO MORE!!! HOORAY!!! Most people I know commented on how much they miss their braces once they are removed but not me! I will NEVER EVER miss it, not even a single bit and today, may I present you my ‘new’ set of teeth! Apart from realigning my teeth, setting it straight and helping me to overcome my underbite problems, I have never liked them. I mean come on, who does right? 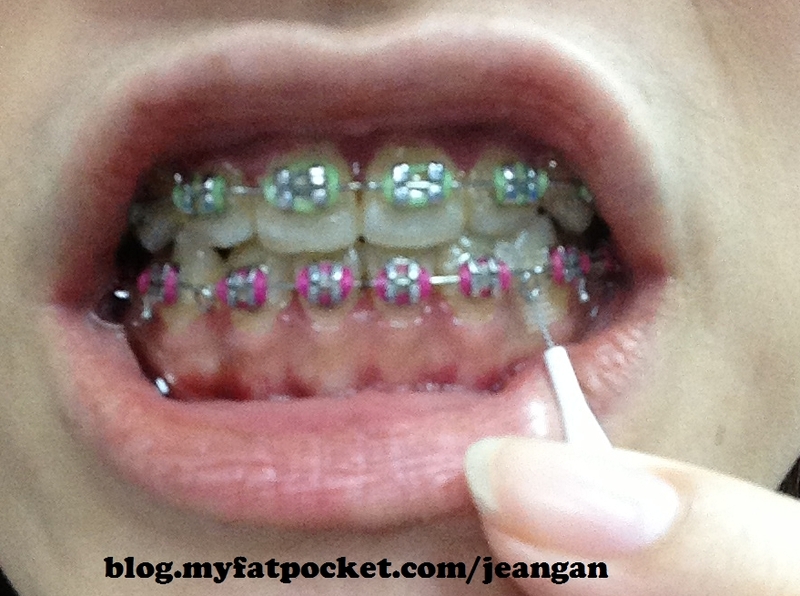 Pain from tightening, ulcers, cuts, food getting stuck in between teeth, annoying elastic bands..you name it, I have it. I guess that’s pretty common for most wearers but what about this? Of course, this picture doesn’t exactly paint the full picture of what happened and it only captures the aftermath. 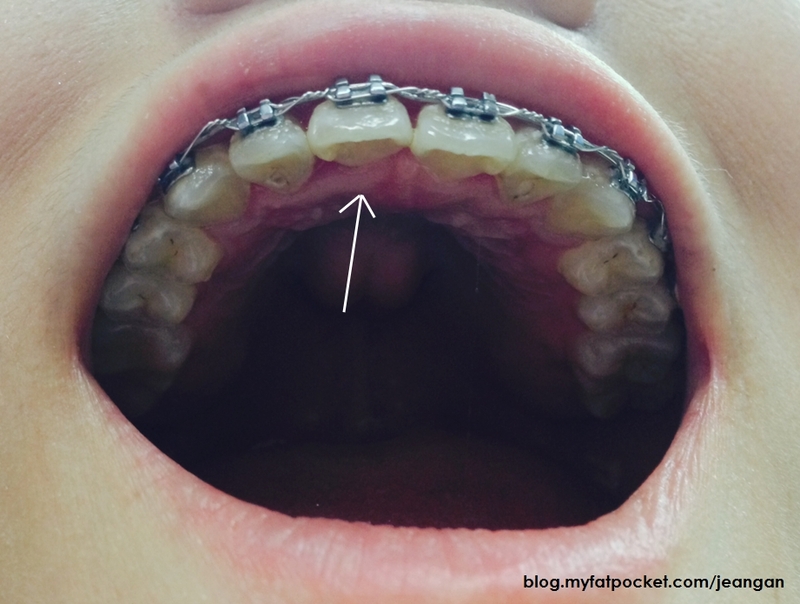 What really happened : the frenulum of my tongue got caught on one of the hooks of the braces at the back of my mouth. So obviously I couldn’t be expected to be snapping away of what exactly happened at the time of incident right? I was wailing in pain and panicking like mad, and was extremely in fear as I was alone during that time. After the physical pain was relieved a little (as the frenulum continued to hurt the days after), I had to be financially ‘exploited’ by the private hospital I went to remove the frenulum off the hook which costs me $200+! And well, the whole procedure didn’t even take more than 5mins! WTF seriously. Now, that’s something I bet you have not come across. Even my dentist hasn’t and perhaps I may be the one and only in this world who experienced this unlucky encounter. 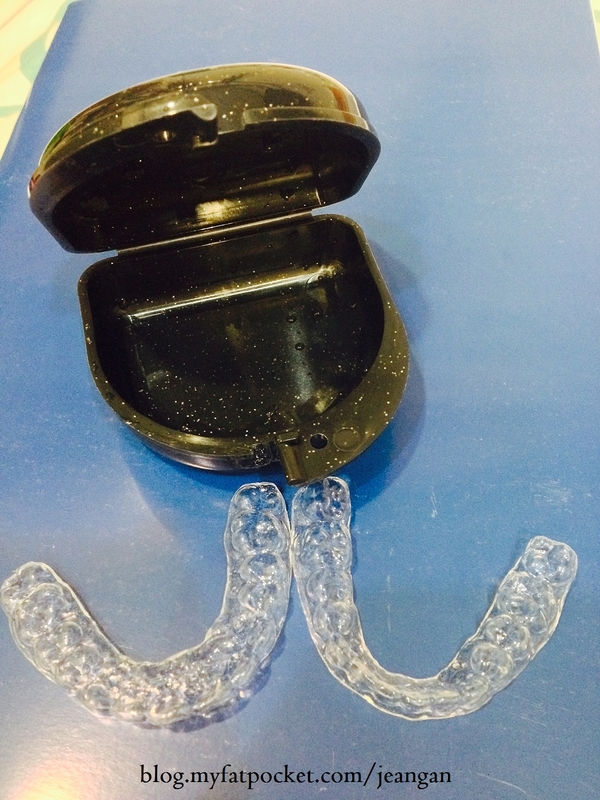 My retainers which cost me $300! I was advised to wear them for 4 months 24/7 (full time) then only am I allowed to wear them only during sleep. I AM SO FREAKING HAPPY THAT THE BRACES ARE OFF!!! I AM NOW A CLASS I INSTEAD OF A CLASS III (UNDERBITE) MALOCCLUSION!!! But for now, after not smiling with my teeth for 26 years, I will have to practise more now with the mirror…..
Don’t be mistaken, this is neither a paid advertorial or sponsorship, and I don’t gain anything from this. Just that I realised that there are actually many people out there facing the same underbite problem as I did too, so hopefully this would be of help to you guys. I did not get my jaw corrected too to overcome this underbite problem and as I have mentioned previously, I am just PLAIN LUCKY. Please seek professional help to have your condition assessed as different individuals have different set of problems, and for some unfortunately, having only braces may not solve your underbite problem. For cleaning/polishing/whitening/other services, please inquire with them. 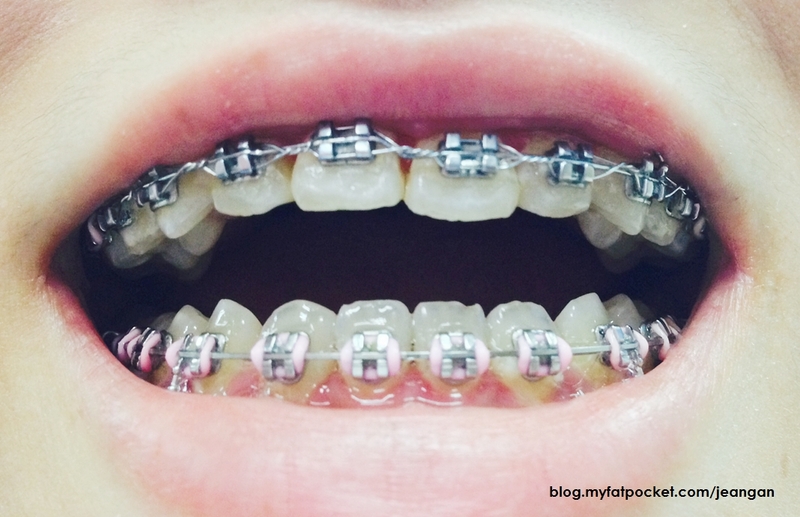 I have been receiving queries as to the address of the dental clinic where I had my braces done by Dr Lim which I have also included in my previous blog posts. Nevertheless, for the benefit of the doubt, here is the address. Please note that Dr Lim drops by different Q&M branches on different days so it’s best you check with them directly. From what I know, he’s stationed at Bedok on Wednesdays, Centrepoint branch on Thursdays and Bugis branch on Saturdays. 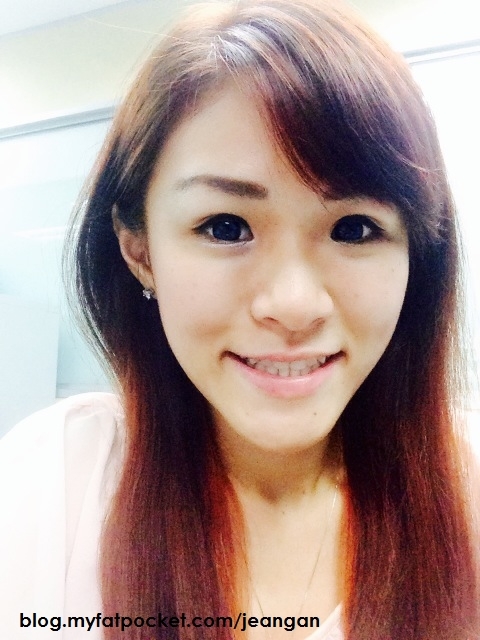 He goes to Bukit Batok as well but it’s best you check directly with the receptionist. Yes, the title says it all! Visited the dentist yesterday for my monthly tightening of my braces and I must be pleased to announce that Dr Lim informed me that I will be able to remove my braces soon!!! I have been pestering him about this each time I visit him…HAHA! 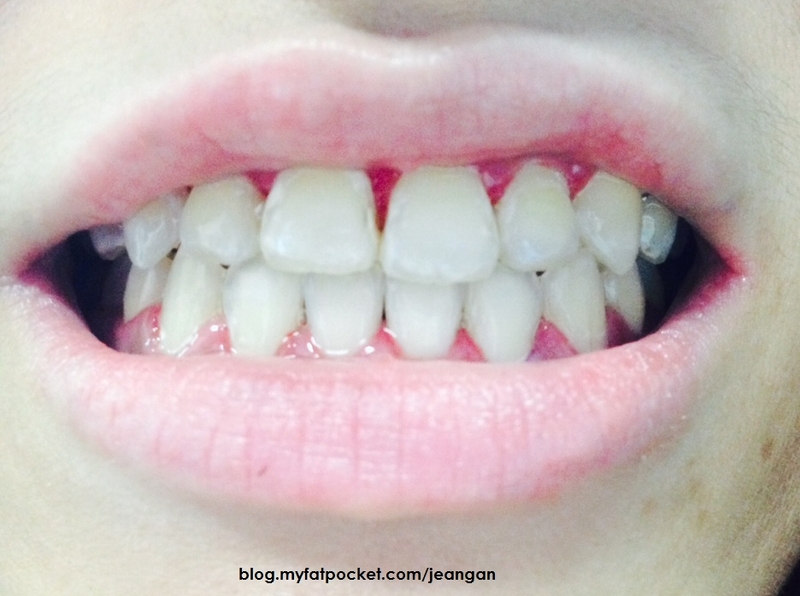 Because the main problem of my underbite has been solved and my teeth are generally straightened now, I don’t see anymore progress/changes/reasons for the braces, but the recent months had Dr Lim trying to adjust/rotate some 1 or 2 teeth as they are not perfectly aligned and equal with the rest. Currently, I am rotating 1 of my 2 front teeth as it has been pushed too far out (afraid I’m gonna have buck teeth soon…!) and so we are trying to adjust it back to where it should be. After this is done, hopefully successful, Dr Lim mentioned that I can set up my retainers which require the machine for the teeth mould…and which Q&M Bedok Branch does not have. So Imma have to head down to most probably the Orchard branch. I asked Dr Lim if my underbite would recur once I am off my braces and do I have to rely on the retainers perpetually? 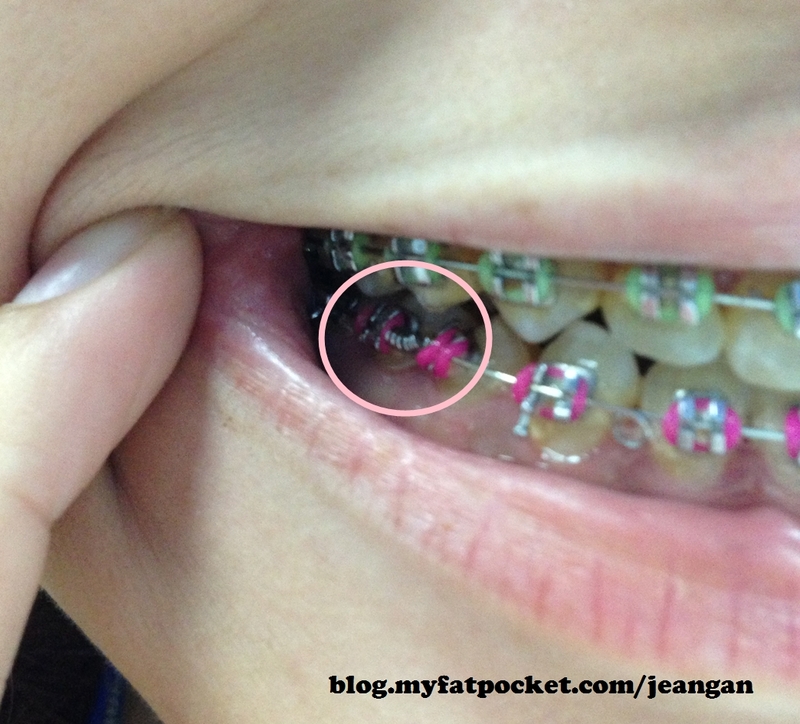 I have heard news of how my friend’s underbite recurred after he took off his braces and highlighted this to Dr Lim. He mentioned that it shouldn’t be the case unless the patient was still at the growing stage, which I thought this may most probably be the reason why as my friend did it presumably quite young (since he told me last year when he was 20?). 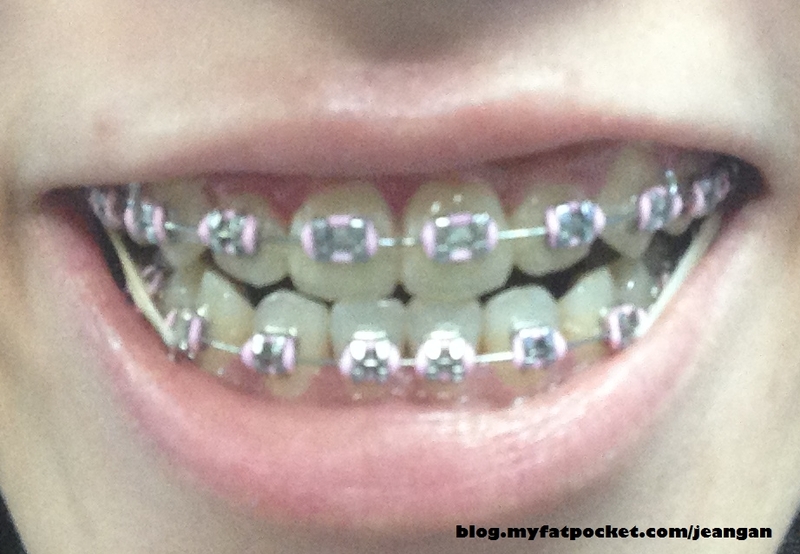 It is a little contradicting because I was told that wearing braces should be during when one is still young so the teeth and bone structure will be easier to shift. That was also the reason why I was skeptical in the first time as I only started wearing braces and attempting to correct my underbite a year ago, at the age of 25. But I am very thankful for being so lucky! I managed to solve my underbite problem at such later age and WITHOUT having to undergo any jaw surgery. I have heard how painful and expensive it is for that surgery. And and and, I was quoted 2 years by Dr Lim when we first started out but because everything seems to go so smoothly…I’ll be able to remove my braces waaaaay before that! My top teeth were crooked and I had an underbite. 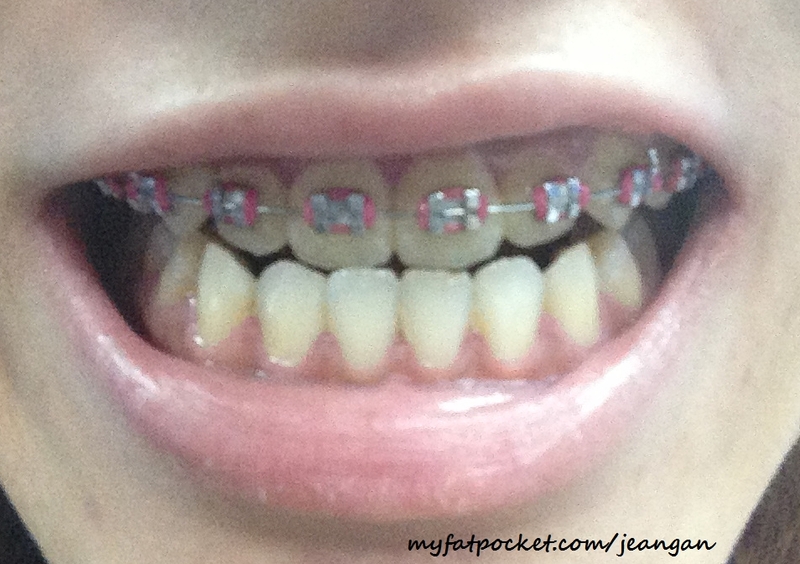 Yesterday marked the 1st Anniversary I have with my braces. I must say that this is one of those relationships which I cannot wait to breakaway from my life. Such a love-hate relationship is often tiring. Love it because it has indeed helped me to solve my underbite problem and align my teeth straight. Hate it because it has caused me not only financial pain but physically as well. If you would recall, I had my fendulum on the underside of my tongue stuck onto the metal bracket of the braces at the back tooth. Can you imagine with pain and I couldn’t even close my mouth or speak properly! Not knowing what to do and I was panicking in tears, I had to rush down to the nearest hospital and FML, this stupid incident costs me a whooping $200+!!! This is how my latest set of teeth look. Pretty much more or less the same. The main problem (underbite) has already been solved and now, the dentist is just trying to adjust some stubborn teeth that are slightly misaligned. You can see the gaps have been slowly closing after I have ‘jump’ the bite from July onwards. 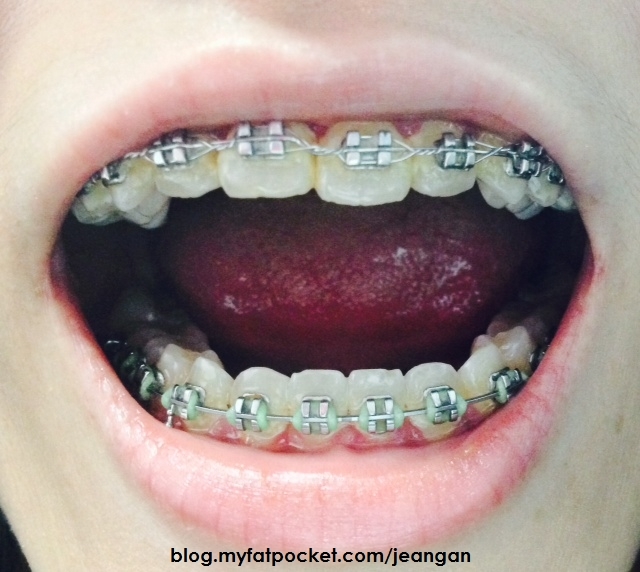 Documenting the braces journey not only helps my keen readers (esp those with underbite problems) but it also helps me to monitor the progress of the shifting and movements of my teeth. Most importantly, it sorta serves as a security that my money is actually well-spent la. HAHAHA. I’ve also tried googling for pictures of people wearing braces on but able to still smile showing their teeth but somehow, I just can’t. Either that, I’m not used to looking at pics of myself with my teeth shown while smiling. All my 25 (coming 26 *GASPS*!) years of my life, there will never be a picture that shows me smiling with my teeth shown, UNLESS IT WAS A CANDID SHOT. And many at times, that did happened and it was so FML-moment because I really loathe the way I look. It’s kinda frustrating whenever I’d try to get my dentist to advise how long more am I required to wear them and he refuses to commit. And it costs $70 per tooth! FML, documenting this actually reminded me how much $$$ I’ve invested for my teeth. Visited my orthodontist, Dr Lim yesterday and did some fillings. I still have some more cavities to mend but I guess that would be done during my next visit. By the way, fillings aren’t cheap. I mentioned this earlier but for the benefit of those who have not read my previous post, it costs about $70 per tooth and there is a range of price for fillings. Not sure how they determine it but I have always been charged $70 per tooth. I filled 2 teeth yesterday and that’s already a whooping $140 which I’ve to pay on top of my monthly instalment for my braces, all these exclusive of GST. The total amount came up to $321. So yes, it’s kinda pricey if I were have to pay this amount every month or either that pay about $170 incld GST for my monthly instalment for my braces only when I don’t engage in other services such as teeth polishing, fillings etc. Oh yes, there is also now some sterilisation charge of about $10+. Initially, I chose transparent rubber brackets but I was told that these transparent ones would stain easily, especially if one consumes tea/coffee regularly. *I know it’s a little small, just click on it for a bigger image! Honestly, there doesn’t seem much or any difference comparing Aug’s and the current position till date but I guess the bite is much better now as mentioned by Dr Lim. I think that’s quite true too because the number of times of me biting myself on my mouth and cheeks has also lessened, thank god! Hence, he inserted an extra spiral wire on top of another one, onto the metal wire, hoping to get it turn outwards. On top of that, I haven’t been wearing my elastic bands often because firstly, they causes much discomfort. The freedom of my mouth movements is so restricted. You are also supposed to remove them when eating and brushing teeth, which I don’t bother to initially. Also, I can’t speak and articulate my words properly when I talk as well. But Dr Lim said that it’s still too early to forgo the elastic bands and advised me to just wear them at night instead of 24/7 now. I guess that would be preferred as well. So Imma just gonna wear them at night now….that is if I remember to…heh. Apart from having straighter teeth, I am also set to possess a great smile. Of course, a killer smile wouldn’t be that achievable but somehow, I’m still very particular on how I look smiling with teeth shown and how my jaw seems to be crooked, long or still protruding (didn’t undergo chin augmentation). I still feel that I can’t smile properly, what more perfectly. To me, it’s still an awkward sight, although one of my friend recently thought I look okay. 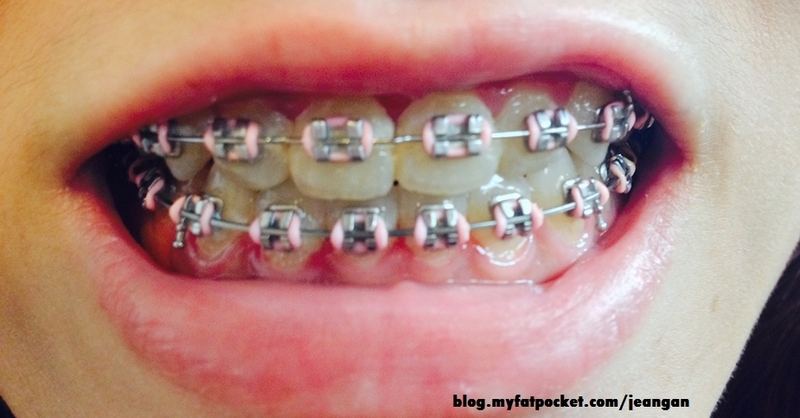 I’ve been receiving quite a handful on queries regarding my braces for underbite cases and hope that by documenting my experience down, would be of some help to you! So anyway, I went back this August for my monthly dental visit. I went a week earlier on an emergency basis because SOMETHING MASSIVE DESTRUCTIVE HAPPENED. Okay, it wasn’t destructive per se, but I was pretty sure it was damn near a LIFE-THREATENING SITUATION. 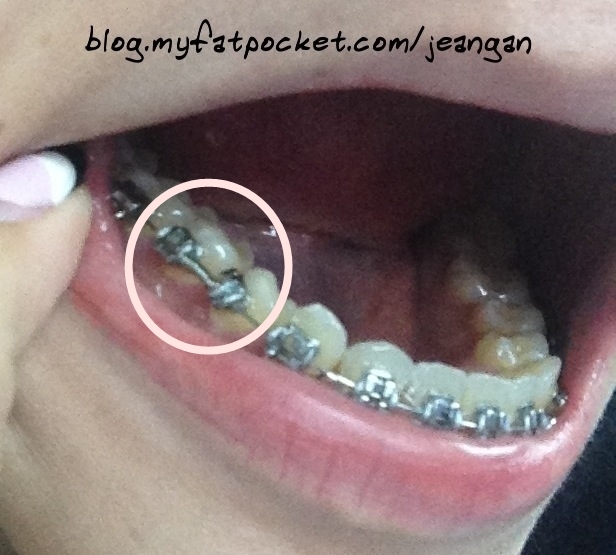 My tongue, and to be precise, the frenulum of my tongue got caught onto the metal bracket/hook at the end of my braces!!! I couldn’t remove it on my own and I was home alone. It was bleeding but not massively but still!!! The whole time, my tongue was crooked and I couldn’t speak properly. It kinda reminds me of patients who suffer from stroke or paralysis! I was freaking scared!!! I was afraid that if I were to use strength and force to pull it out, I would bleed buckets, like how I cried buckets. IT WAS FREAKING PAINFUL AND SCARY!!! Why and how did it get caught there, if you may ask. 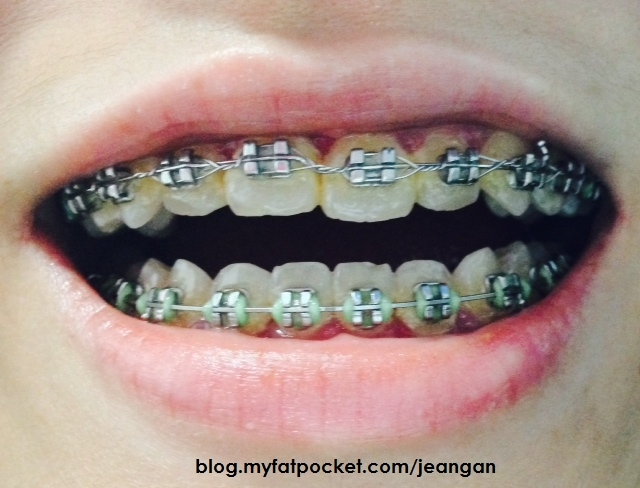 It happened when I was having my dinner and as usual, food, especially meat, got stuck onto the braces… For all braces-wearers, you should agree with me on this. 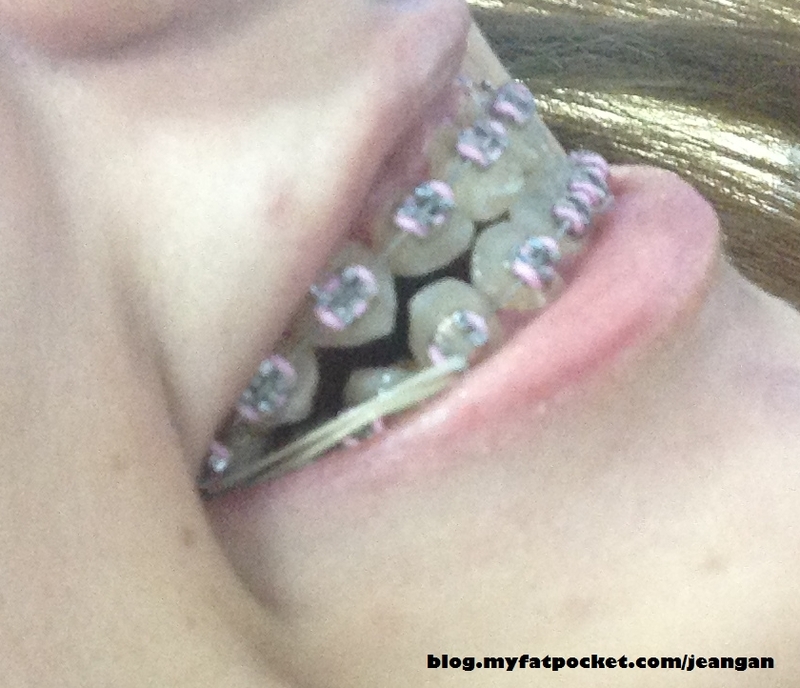 It’s uncomfortable and awkward when food gets stuck onto your braces, right?? Anyways, so clever me usually use my LONG tongue to push out the food bits that get stuck onto the braces. That also explains some of the cuts which in turn result to ulcers as well. And then TADAH! IT GOT CAUGHT ONTO THE BRACES. I didn’t snap any pictures of course, I was panicking, crying, freaking out, home alone with my doggy (who sensed something amiss and barked non-stop at me and trying to climb up to my dressing table to see what’s wrong) and trying to remove the frenulum of the tongue… and practically just feeling lost and scared. Not knowing what to do, I called my bf first who then contacted my parents and they rushed me to the nearest hospital to get the tongue’s frenulum removed and unhooked. It wasn’t really painful, at least not as much as it being caught, but it does get uncomfortable, especially when swallowing as days passed. I was so afraid that the docs would snip it off or something, but all the doc did was to use a small forceps and ‘open’ the metal bracket and the frenulum of the tongue unhooked itself. This was based on what my bf told me because I couldn’t see what’s going on in my tongue and he was there to witnessed everything. He was also there to hold my hands tight during the whole process and who also cancelled his appt with his friend and rushed down for my from work. So yes, moral of the story is DON’T USE YOUR FREAKING TONGUE TO PUSH OUT FOOD BITS ANYMORE. At least that’s a painful lesson for me to learn and remember. Now, I’d try to limit my tongue movements where possible. I know how troublesome it is to floss every now and then after meals, and honestly, I haven’t been flossing for the past what, 8 months? Ever since I had braces on… ahem. After this stupid mistake, I try to be more hardworking and so, I bought a packet of these tiny brushes from my dental clinic. I think it’s so much better than flossing. You have better control and grip in cleansing your teeth. You can see that the brush made of small bristles is bendable because it’s made of a small thin wire, which gives you easy access in between your teeth and flexibility! And under the braces’ wire! 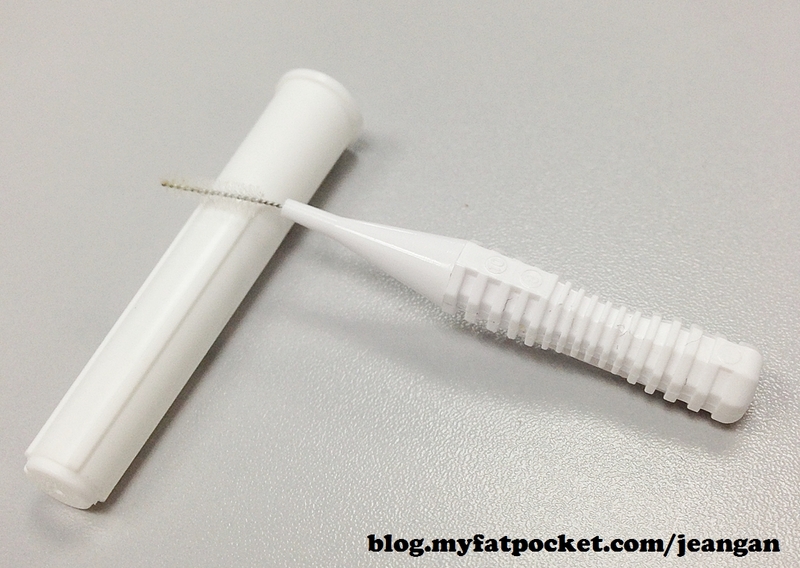 So it’s extremely useful and as compared to toothpicks, it’s much softer. I think I’ve weak gums so whenever I try to clean, as gently as possible, my gums still bleed easily. My dentist keeps nagging that I’ve to prevent food from getting stuck in between my teeth so that I will not have anymore cavities. Also, he placed a small extra wire onto one of my front tooth, which is quite tiny and I can’t snap a clear picture of it. He mentioned that because it’s growing inwards so had to fix that small wire there. So anyway, yes. 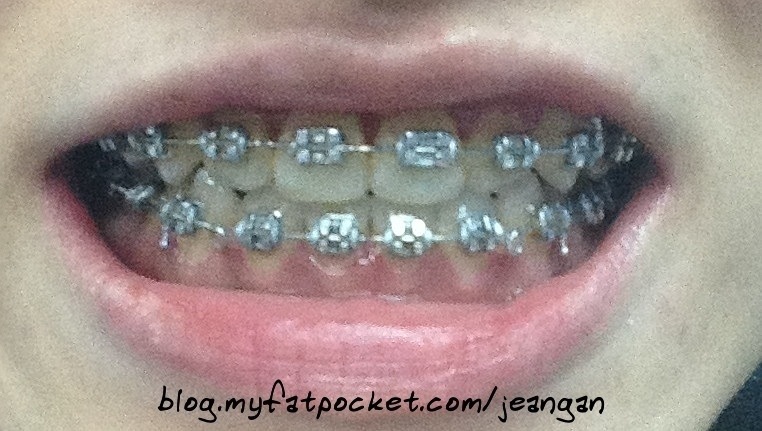 Here comes the most exciting part of documenting my braces journey – comparison to see how braces have helped me thus far. You can see that from July to August, apart from already jumping the bite, my teeth are shifting and aligning themselves better, which is evident in the small gaps between the two sets of teeth when bite down together. Okay now, this is quite depressing. I don’t seem to see any difference with regards to my lower jaw. The only difference I’ve seen is that my jaw line is more defined now and I don’t really want that. But then again, it may be because the ‘before’ picture doesn’t do much justice and isn’t exactly accurate in illustrating my jaw line. So sorry for the poor photography skills. I tried searching for more pictures on my side profile prior to wearing braces but couldn’t find them, which shows how much I’d loathed my side profile. Till now, despite having to already ‘jump’ the bite and I no long have under bite, my side profile remains more or less the same I think. HOWEVER, I did have friends who told me that my profile and jaw did change and it’s not as protruding anymore. I’ve marked out areas which seem to have obvious difference. 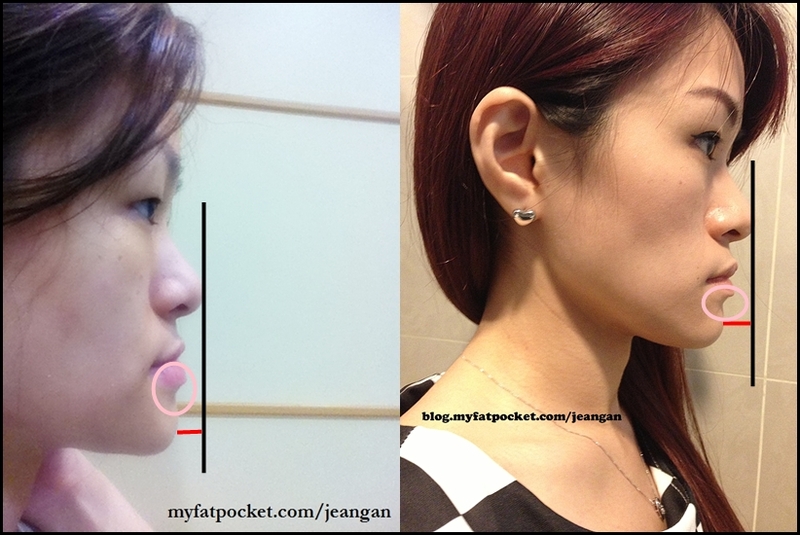 The distance between my lower lip and chin is also wider which also means that my jaw is pushed back now. I have a very slim face (close to skinny but I refuse to use that word because it’s ugly) and I have sunken cheeks – this may most probably be the reason why my profile is more of less the same. I hate this crescent shape side profile. It’s really unflattering. I lost loads of cheek fats ever since I lost weight during puberty and for me, when I gain weight, it doesn’t reflect much on my cheeks. Don’t be envious BECAUSE MY ARMS AND THIGHS GET THEM FIRST. FLABS OF FATS!!! So yes, I thought I’d better disclaim first to prevent misunderstandings later on. If you have an underbite problem, a 100% correct would be chin augmentation + braces. Finally, I am now a complete braces wearer, after about 5-6 months. Erected them on my lower set of teeth (which are already straight originally) and hooked 2 elastic bands on the side to control and correct the jaw movements. 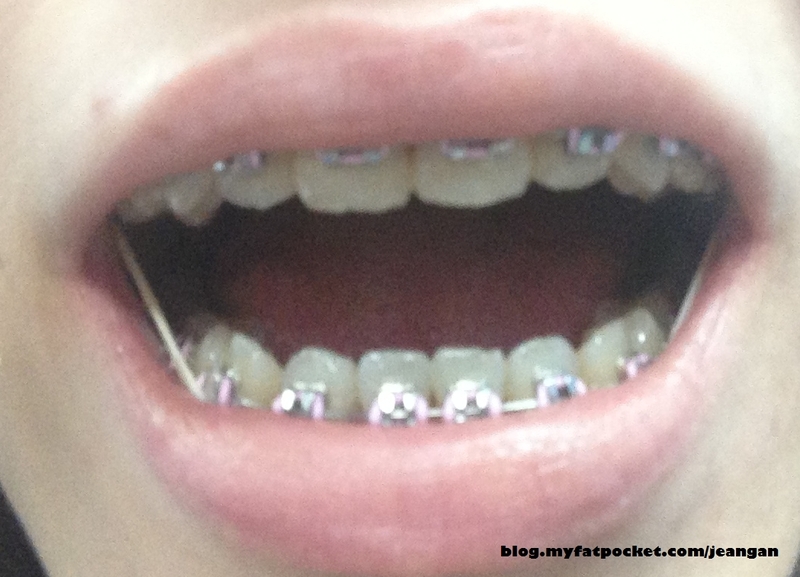 The bands are quite difficult to wear and I am so afraid of them snapping on my fingers, face and inside my mouth. My friends have warned me that they might snap when you yawn or open your mouth too wide for whatever reason. My orthodontist is trying very hard to convince me that jumping the bite (i.e. 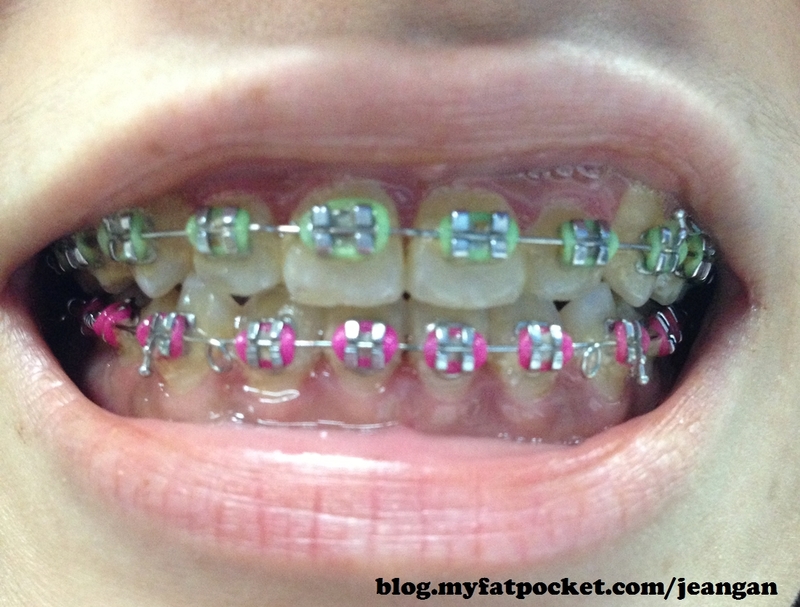 correcting an underbite) can be done with just braces, not needing any surgery. He has shown me some pictures of other patients who managed to jump the bite and they seem really good. One thing I was more concerned is the age of the patient. As underbite involves skeletal structure of the jaw, the older you are might prove difficulty or at least takes a longer process for the shifting to occur. But I am quite satisfied because after putting on the braces on the bottom row, I quite strained my upper teeth a little forward to overlap a teeny bit of the lower teeth. Not sure if you are able to see it though. 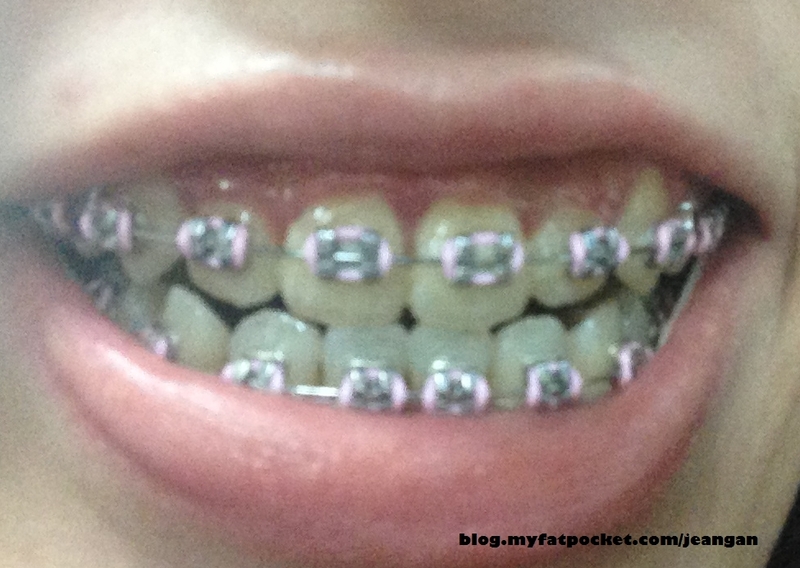 Cant strain too much because it hurts as the bottom teeth is still trying to adapt to the braces. 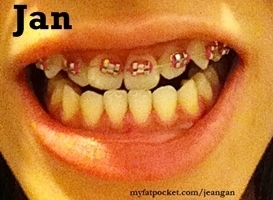 I think these 2 pictures above is clearer in showing the front teeth overlapping the bottom 2. Sorry that I cannot open my mouth too big due to the elastic bands at the side. By comparing the results monthly, you can see that my upper row has straightened out and the gaps are slowly closing up. On top of that, you can also see that I am slowly approaching to jumping the bite as well by looking at the 2 front teeth. *Pls note that this is not a paid advert or sponsorship. Undertook this on my own and is paid for by myself. 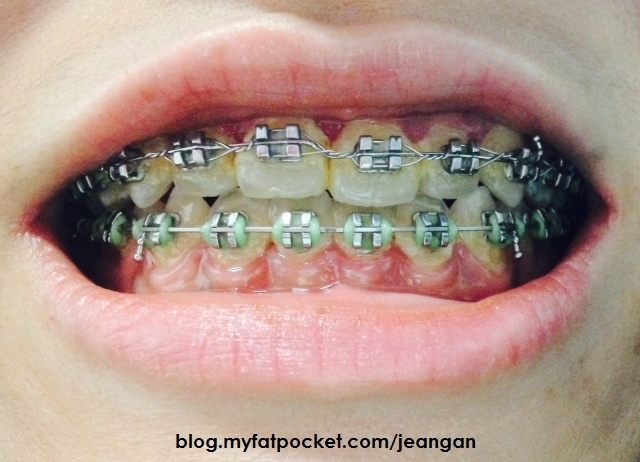 It’s currently my 5th month into having braces on and frankly speaking, my patience is thinning. Other than being able to bite down edge to edge and have my upper row of teeth straightened, I don’t see any changes anymore. Due to other commitments, I had to cancel my dental appt twice. That was when I told the dentist that I don’t think I can jump the bite or am seeing any improvements. Hence, he informed me that I will be putting on braces on my lower row of teeth, together with elastic bands. I have heard from experienced friends telling me that those elastic bands would SNAP inside of your mouth if your mouth is opened too big and while you are chewing. I am totally dreading this but I suppose that would be a very painful wake-up call if it ever snaps while I’m yawning. HAHA. Apologies on the lack of updates for the month of April on my braces. Here are the pictures and comparison. Okay la, it did improved a little. The gaps are narrower already, but my main concern and hope is for me to jump the damn bite! 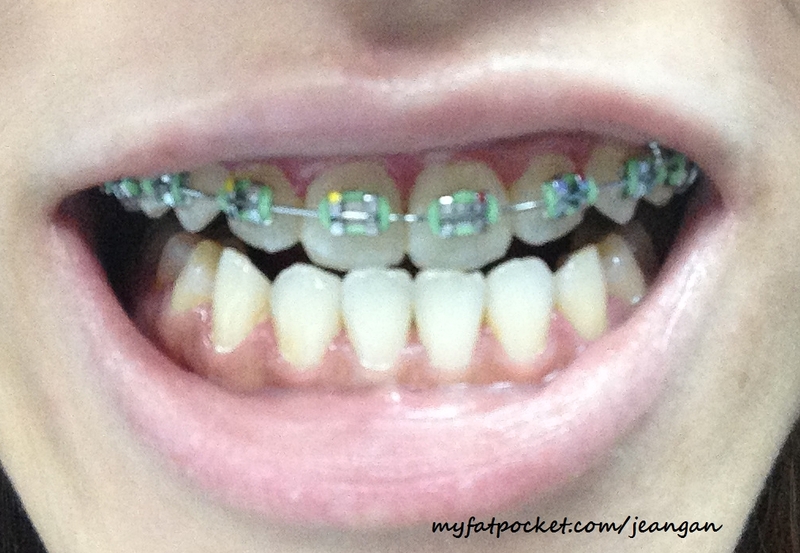 Hopefully with the lower set of braces and elastic bands would help improve the situation. 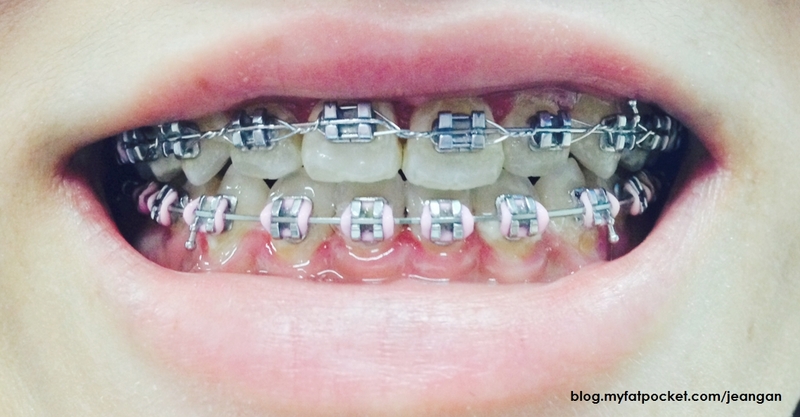 Dentist mentioned that putting on braces help to expand your jaw, thus the reason in putting the upper row first. As I have an underbite, my lower jaw is wider than the upper jaw and hence, protruding out. Putting on the upper row would help expand my upper jaw first. Putting the lower row is inevitable which would expand my lower jaw further which we do not want but will be curbed and controlled by the elastic bands.